21 June 2017 Chandigarh :- In a press release issued today the Counter Intelligence Wing of the Punjab police claimed to have arrested two more Sikhs. Police claims that Gurpreet Singh and Simranjit Singh were arrested from their native villages of Jiwanwal (Faridkot) and Kamalpur (Moga), respectively. It further claimed that two .32 bore pistols, four magazines and cartridges have been recovered from their possession. As per the statement a spokesperson of the police has alleged that Canada based Gurjeet Singh Cheema, now r/o Brampton, Toronto, during his visit to India earlier this year, gave two pistols, along with ammunition, to Gurpreet Singh @ Peet. The latter passed on one of the pistols to Simranjit Singh @ Nikka, for targeting of ‘anti-panthic’ people, based in Punjab. The police says that this arrest is linked to arrest of Mann Singh (district Gurdaspur) and Sher Singh (district Jalandhar) who were arrested on May 21. They were arrested under FIR no. 46 dated 21.5.2017 u/s 17, 18, 19, 20 Unlawful Activities Prevention Act 1967, 25, 54, 59 of Arms Act and 14 F, Act, PS Ramdas (Amritsar Rural Police district). The statement maintains that the investigation in this case were still continuing. 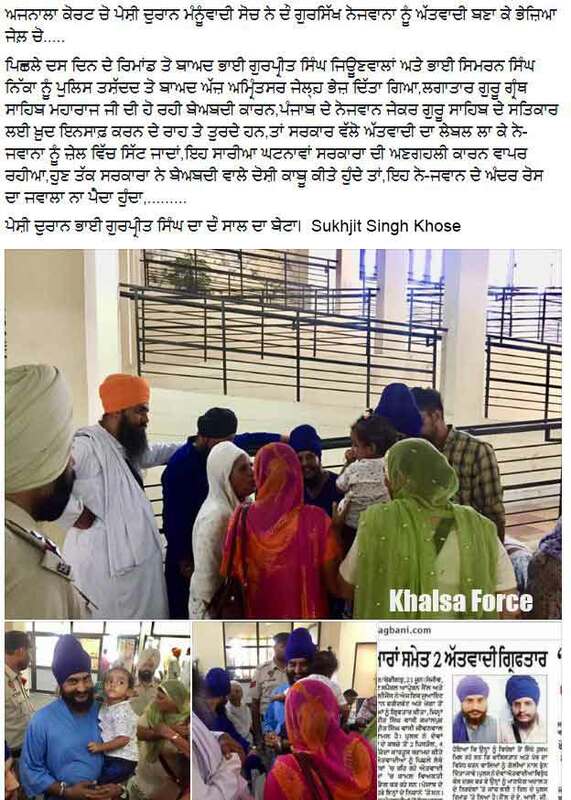 Notably, the Punjab police have arrested around two dozen Sikhs so far alleging that they were engaged in disruptive activities. Cardinal George Pell | One of Pope Francis | Top Advisors was Just Charged with Sexual Assault.